Very Positive (1,608) - 88% of the 1,608 user reviews for this game are positive. Curious Expedition 2 announced! Curious Expedition 1 coming to consoles! 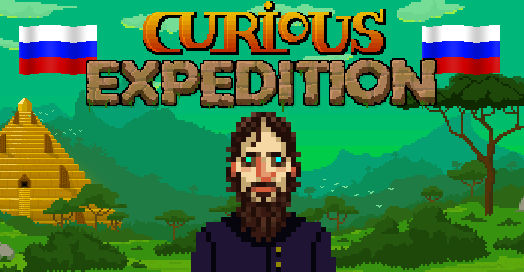 We've just announced Curious Expedition 2! Oh, and the original Curious Expedition is coming to consoles in 2019! Both projects are made in collaboration with our new publisher Thunderful. Curious Expedition is now available in Russian! To celebrate this new language we have added the legendary Grigori Rasputin as a new explorer. A mysterious and pursuasive Preacher, he can always recruit at villages, no matter what standing he has with the natives. Encounter endless possibilities with Curious Expedition mods. From simple items to new characters or expeditions to the moon, everything is possible.